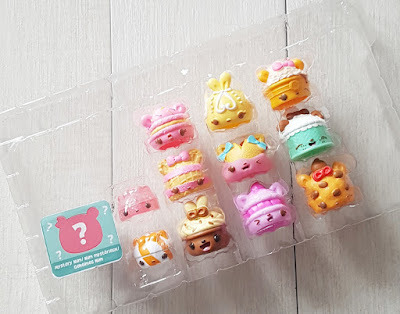 Whoa, Num Noms series 4 out. 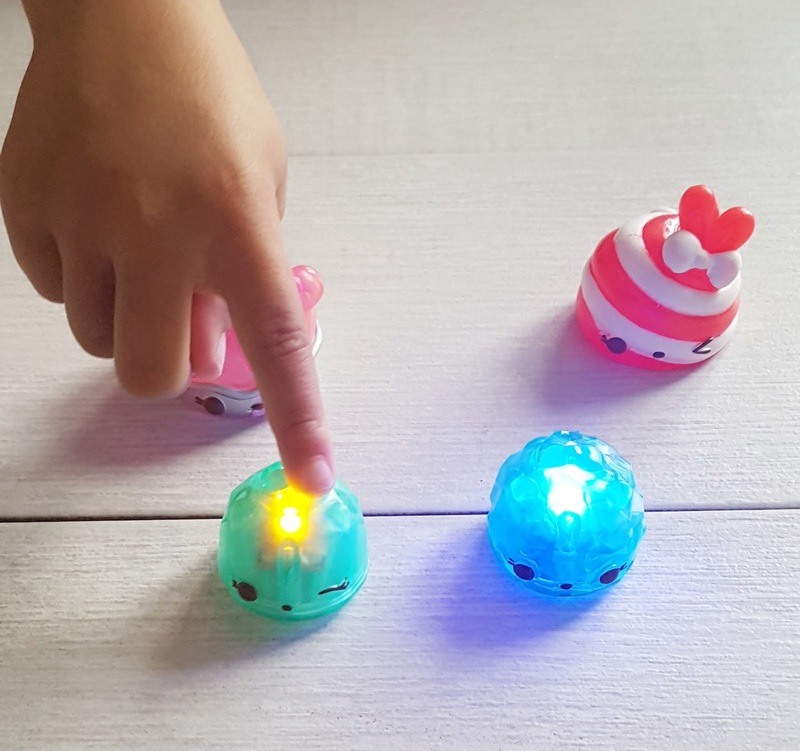 The adorable collectibles that we have grown to love are back and better than ever. 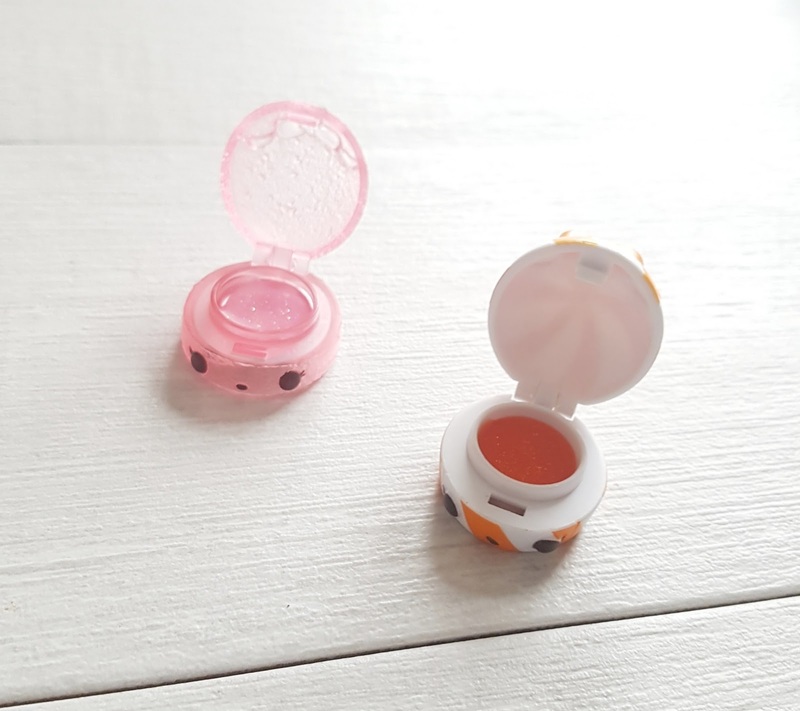 Series 4 includes glitter lip gloss and nail polish. 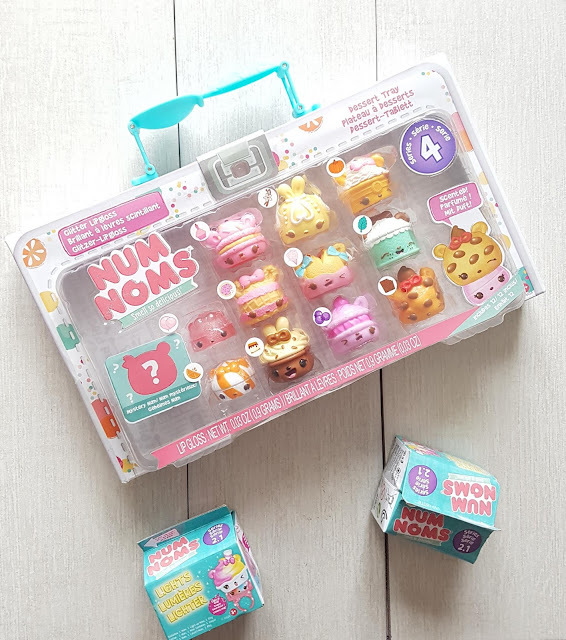 If you read our last Num Noms unboxing you would know that Darcy is obsessed with them,and she couldn't wait to review the new series. 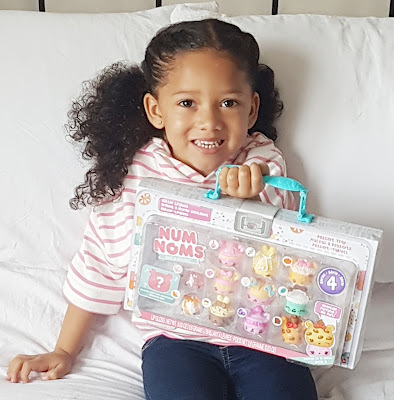 So you can imagine how excited she was when we were kindly gifted a Dessert Tray and some Light Mystery Pots to review. The Dessert Tray comes with 12 Num Noms in total, including a mystery Num Nom and two lip glosses. Our favourites from the Dessert Tray are Pumpkin Spice, Mint shake with a cute little straw on the top, Goldie Cake which smells of the sweetest vanilla and Candy Karma which opens so you can put your lip gloss inside. 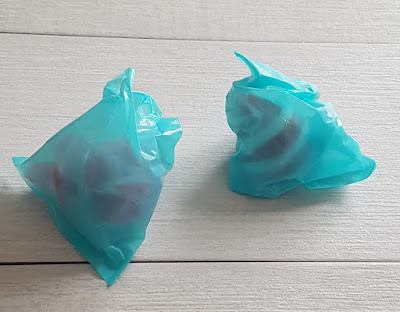 I especially love Mocha Frappe as I'm such a coffee addict. As usual you can stack them up to create your own scent combinations. 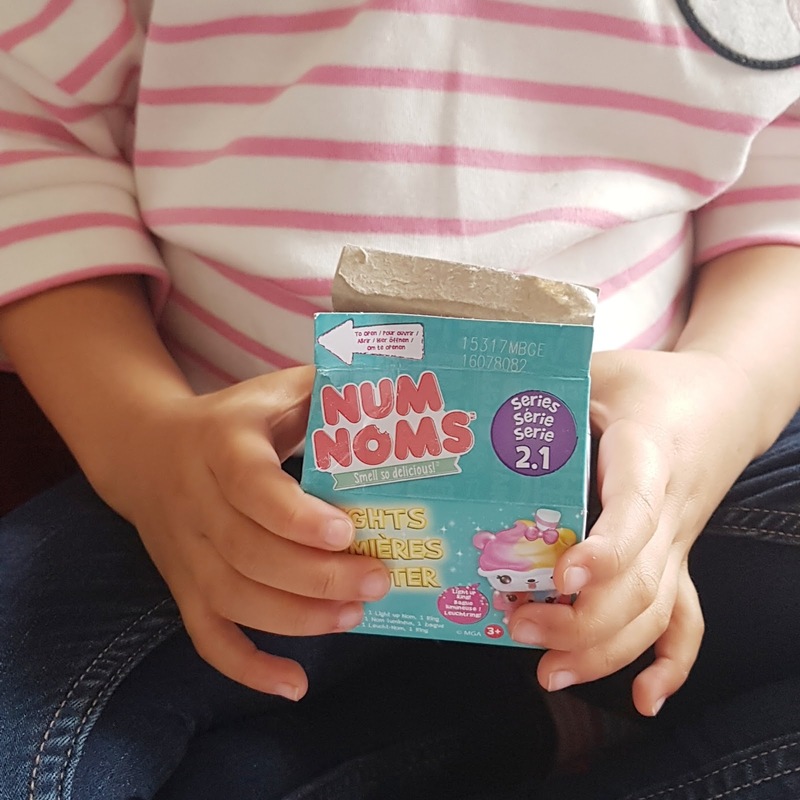 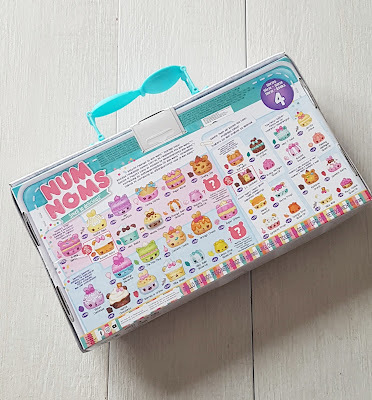 We've used the packaging that they came in as a storage case as it is really sturdy cardboard and even has a cute spoon carry handle.Priced at £16.99 it's a perfect addition to anyones Num Noms collection. 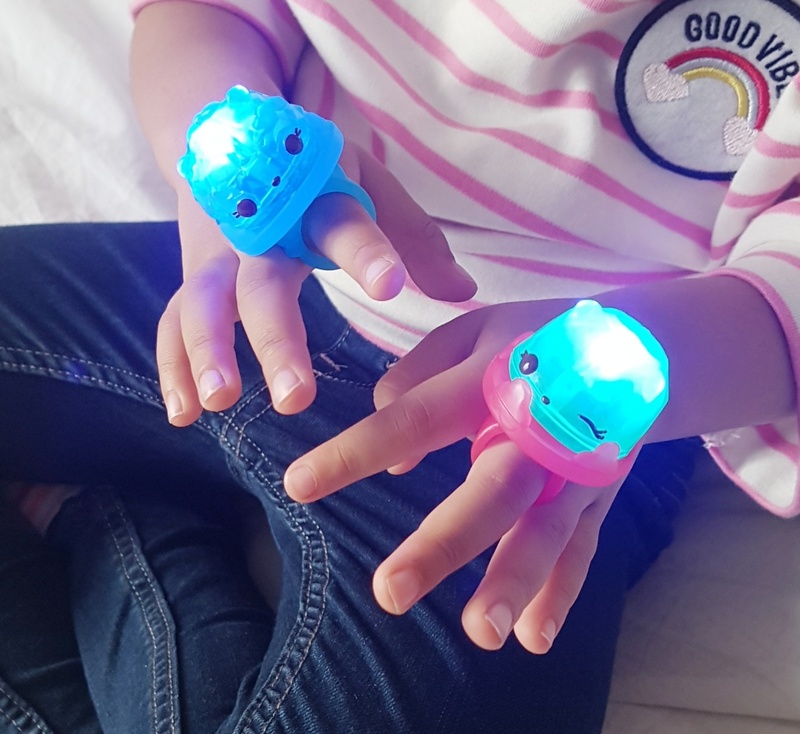 Num Noms Lights series 2.1 pack comes with a scented Num, a light up Nom and a cool ring to display and wear your collection. They light up by pressing their head and switches off by doing the same thing. 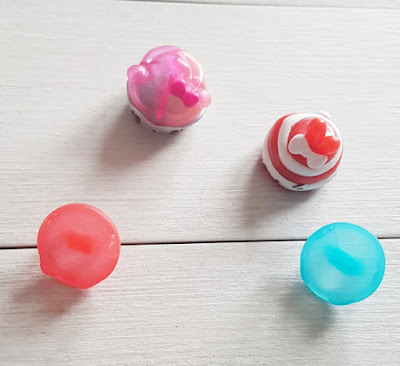 We unboxed a special edition Carole Candy Cane that reminded me of Christmas as it just smells like a candy cane. Darcy could not wait to show off her brand new bling. Num Noms Lights series 2.1 retails at £3.99 each. 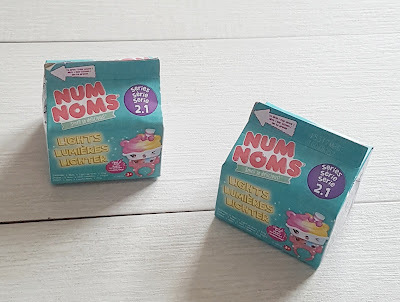 Num Noms Series 4 are available now in all good retailers or you can find out more here. 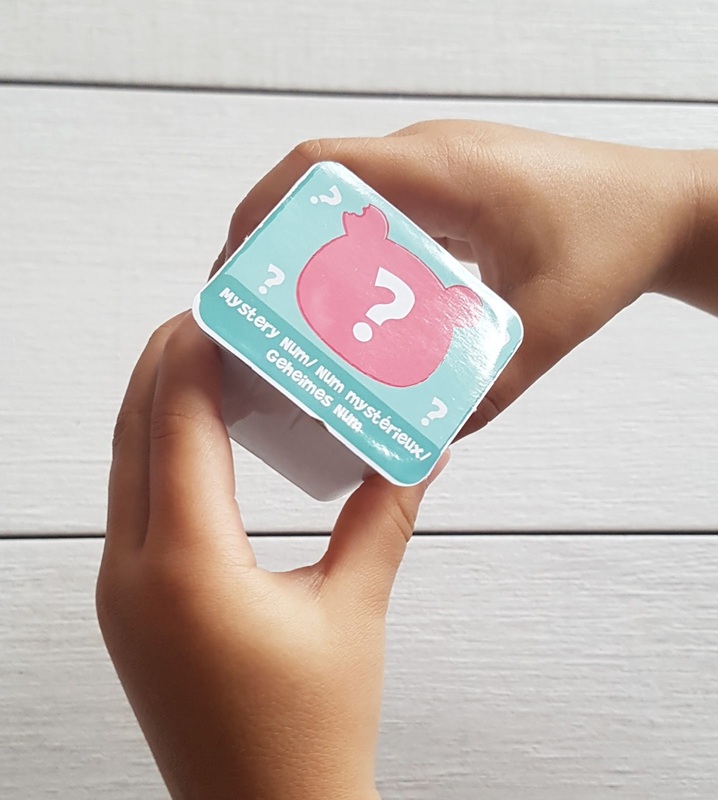 It issafe to say that series 4 is our favourite so far! Are you a fan of Num Noms?